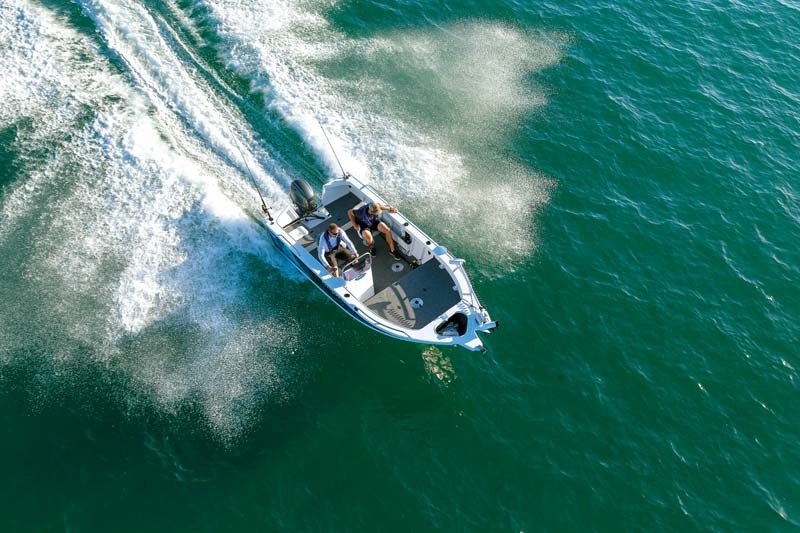 We water test and rate the Stessco 480 Renegade, a contender in the aluminium fishing boats category at the 2017 Australia’s Greatest Boats awards. 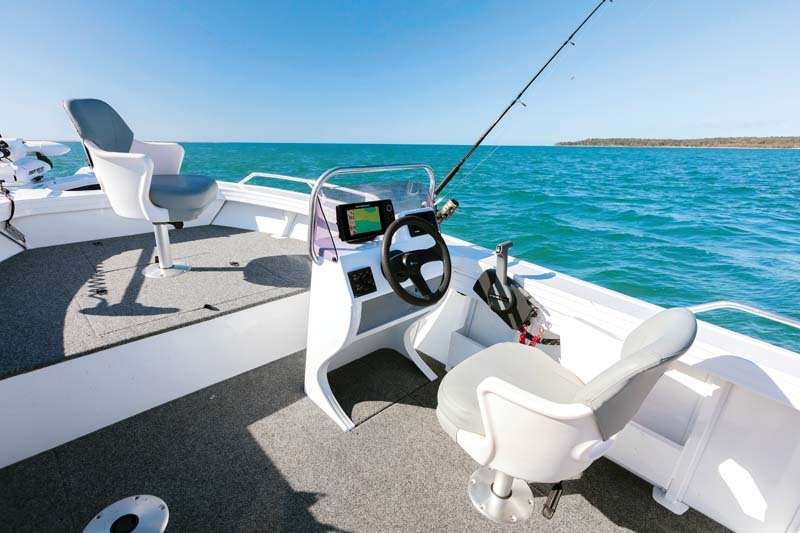 Australia’s Greatest Boats judge Jo Starling, upon returning from testing the Stessco Renegade 480, declared: "Wrapped like a beauty, the Stessco Renegade 480 presents a no-nonsense, down-to-business fishing machine dressed in a little sparkle. 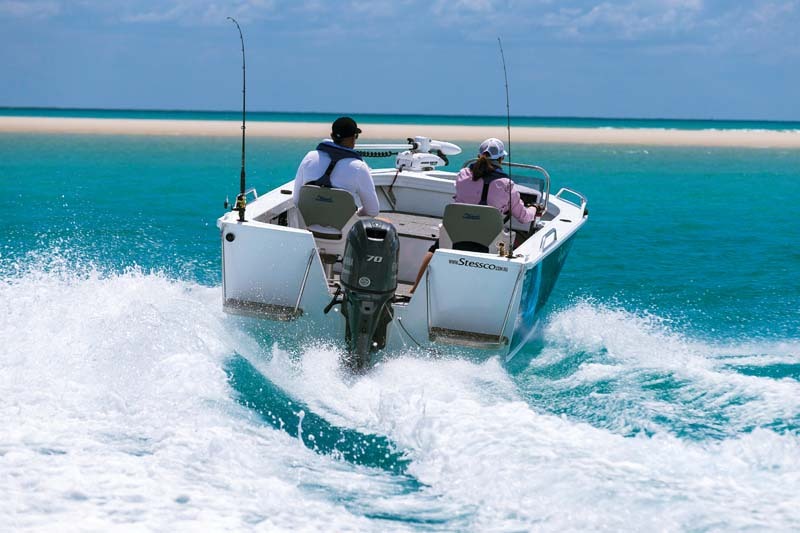 The open deck provides a huge, uncluttered dance floor for easy fishing with mates. When it comes to easy-access storage, this is a blank canvas. There’s plenty of room to modify to personal needs, or just pack and unpack as you need." 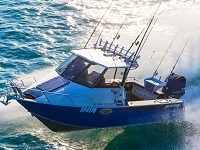 We were all impressed with the Stessco Renegade 480 and not only for its impressive on-water performance – it provides a very capable inshore and coastal fishing and fun machine that’s easy on the eye and on the pocket, with a ton of room to host a serious pelagic excursion. The Stessco boats model designation doesn’t do the overall size of this boat justice. It is in fact 5.2 metres overall and combines a 2.2m beam with plenty of freeboard for a secure and reassuring feeling of safety. High beam-to-length ratios are becoming the norm and Stessco got this one right with a hull that lifts easily, rides over the chop with ease and tops it off with exceptional stability, a vital ingredient for our lure-chucking fishing fraternity. Up front, the combination bowsprit and large anchor well work with the electric motor mount for the Minn Kota, with both protected by short side rails. The forward casting platform is huge and not only provides cavernous storage but also a massive fully plumbed live well that will please competition anglers and amateurs alike. The side console is quite simple but works a treat with a comfortable helm and plenty of mounting bases for the plug-in pedestal seats. 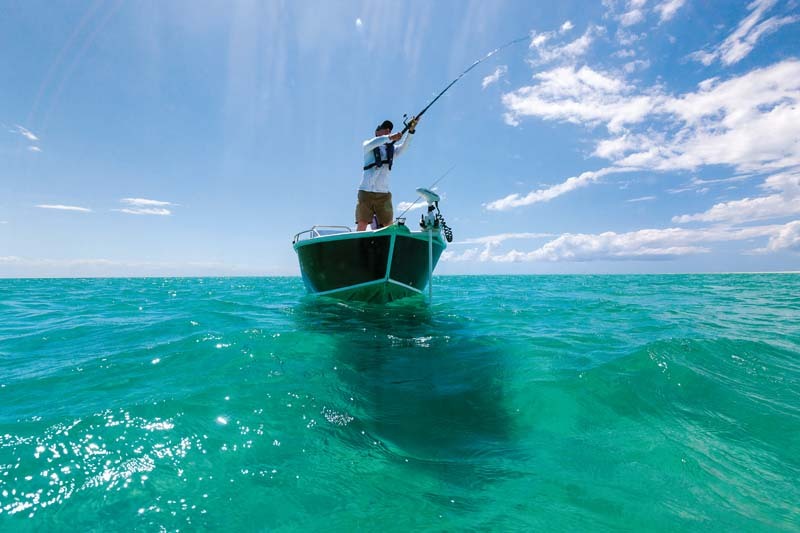 Kevin Smith said: "Overall, the abundance of deck space is the highlight – especially when it comes to lure fishing, as you could comfortably fish three without tangling up with each other." 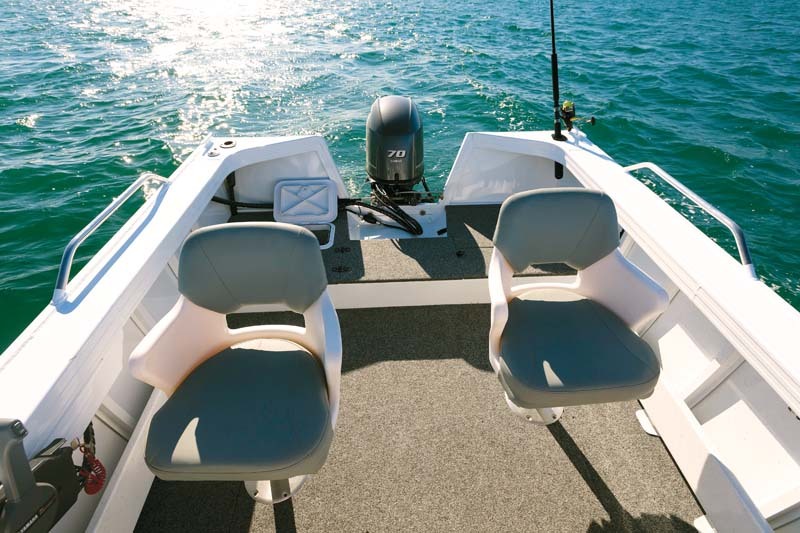 The standard unit runs the deck all the way to the open transom with a slight step at the rear with more storage, plus an underfloor livebait tank. The huge 80L fuel tank is mid-mounted, increasing stability and attitude, and runs a deck filler from the wide side coamings. It’s a well-contained layout with plenty of room for personalisation. Many doubted the ability of the Yamaha F70A four-stroke outboard motor on a boat of this size and capability – until they drove it! Kevin said: "Classic bay or dam boat for lure fishing and also an entry-level tournament boat that’s cheap to run. It lacks a bit of holeshot, but to be expected for the motor size." Editor Tim came back from a spin around the bay exclaiming: "It rides like a go-kart! Strakes and chines grip well in turns," and John Ford replied: "It’s a confident boat with predictable handling and a good match to engine power." Steve pitched in: "Surprisingly good ride! A tad wet in a quartering sea and breeze, but that’s to be expected." Tinnie buyers always put value for money high on their purchasing criteria and the Stessco Renegade 480 scored exceptionally well here, gaining three nines and two perfect 10s from our judges. Tim added: "An Aussie tinnie on steroids that drives on rails for under $35K set up – outstanding." The message was clear; the judges found the ripper little Stessco Renegade 480 a no-fuss, easy to clean, great looking, exceptionally functional no-frills package representing excellent value for money. As is only right, Jo gets the last word: "This is a fun, fun, fun little boat! 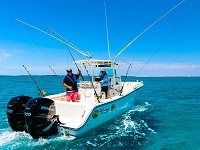 A basic fishing boat with the fundamentals in place, its purpose is to get people fishing for less and it works. There is no questioning the value for money. There are now no excuses for not being on the water!"